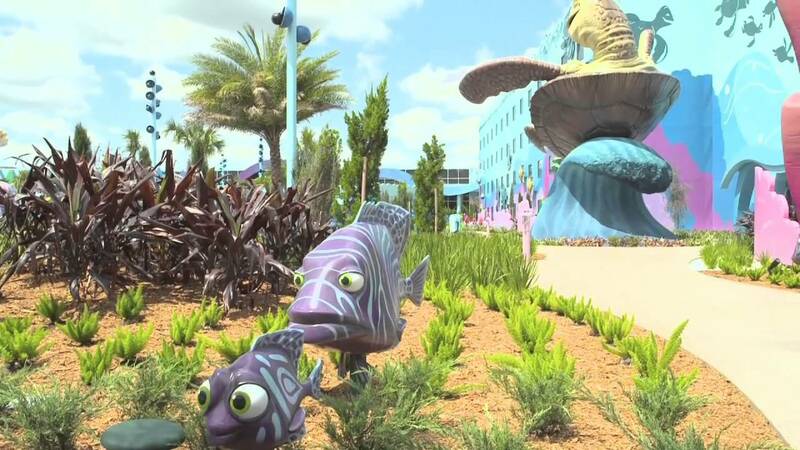 Announced back in May of 2010, Disney are currently in the construction phase of the new value 'Art of Animation Resort'. Disney today announced that the new project is expected to create up to 800 construction jobs, and once open by the end of 2012, Disney’s Art of Animation Resort will also create 750 permanent resort hotel jobs, for a total of 1,550 jobs created. Located next to Disney’s Pop Century Resort, the new resort will include 1,120 family suites in The Lion King, Cars and Finding Nemo wings, and 864 themed rooms in The Little Mermaid wings. Suites will feature both a living room and a bedroom, offering added space for families. Disney’s Art of Animation Resort will also have a uniquely-themed central building with shopping, dining and features such as three pools and a water play area. "The construction of family suites at Disney’s Art of Animation Resort is an innovative approach to a changing marketplace," said Kevin Myers, vice president of resort operations for Walt Disney World Resort. "Today more and more multi-generational families are traveling together for various celebrations, including family reunions. These families not only want to play together, they want to stay together, which has created tremendous demand for family suites."